You’re ready to purchase a home, but you’ve looked at everything on the market and can’t find the perfect place. You’ve researched the school districts, neighborhoods and nearby amenities, and you know exactly in which area you want to live. However, anything that comes on the market in that part of town gets snapped up immediately. It’s time to get creative when it comes to buying a home. Start looking at places that are not currently for sale. You might have driven past your dream home, but you never thought of going the unconventional buying route. Well, take a look at the tips below to see how you can close on a home without any other buyers knowing. Search homes that were on the market, but the owners took them off. Many homeowners let their listing expire and are waiting until the market improves. This is fortunate for you, because you know they are already interested in selling. If you see your perfect home, but you don’t want to just walk up to the door and demand they sell their house, you can find their contact information online. Property records include the owners’ name, address, and, sometimes, their contact information. This will allow you to go through the proper channels of proposing an offer. A seller is more likely to take you seriously if a real estate agent brings the offer to them. 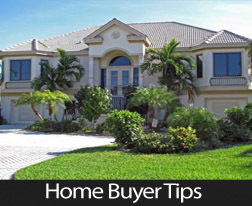 Agents deal with sellers all the time and will be able to gage if the homeowners are interested. They’ll also be able to tell you the right price to offer and how you should go about it. You’ll also have piece of mind that all the paperwork that comes with buying a home is completed correctly. While all the guidelines say to keep personal feelings out of the home selling process, it’s practically impossible. A home is the place where you raise your children and make memories. So write the homeowners a heartfelt letter about how you’d like to build a life in their current house. If they think you’ll care for their place as much as they do, they might entertain an offer. Many homeowners are ready to upgrade, but hate the idea of getting their current residence ready to sell. They’d have to clean, clear clutter, stage and keep everything looking spotless until they close the deal — which can be quite a hassle. So, make it convenient. Offer a price that won’t offend and will have them thinking how this could be a stress-free transition.